Grachanica Monastery is a Serbian orthodox monastery in Kosovo that was rebuilt by the Serbian King Milutin in 1321 on the foundations of an orthodox church from the 6th century. Today, after a quite turbulent history, this monastery has become the most important spiritual, national and political center of the Serbian people in Kosovo. Since 13th of July, Grachanica Monastery is a part of the UNESCO World Heritage and it is a Monument of Culture of Exceptional Importance and protected by Serbia as a result of the unaccepted self-declared independence of Kosovo. A sisterhood of 24 nuns, with great passion and love, is telling the story about the existence of the monastery. Its architecture is a peak of the Serbian architecture in the spirit of the Byzantine tradition and together with the extraordinary fresco painting, includes Grachanica in the group of the masterpieces of Serbia. The name of the mosque derived from Jashar Mehmet Pascha who was a wealthy citizen of Prishtina, as well as the governor of Skopje in 1842. As of to the writings in the mosque, its building was finalized in 1834, its architecture and the interior design is similar to the Old Bazaar Mosque. 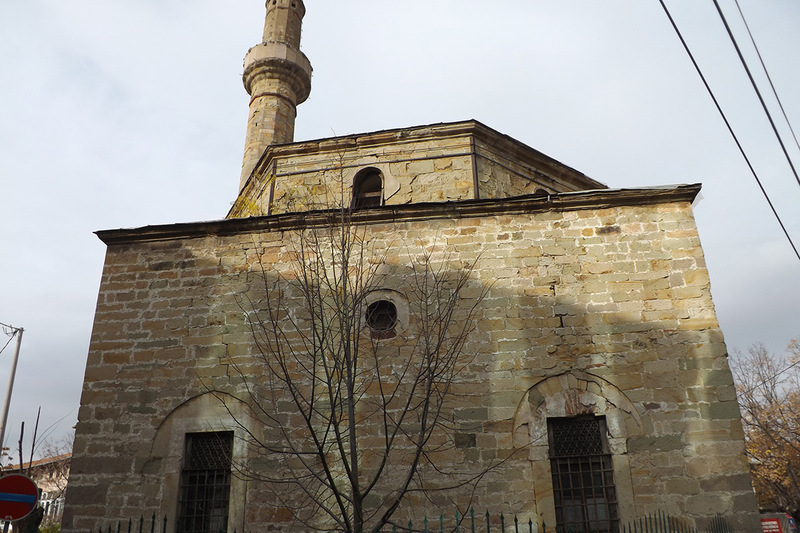 Located in the city center, Jashar Pasha Mosque aim was to speed up the acceptance of Islam among the citizens of Prishtina. It is composed of a hall for prayers, hayat and a minaret, and it symbolizes a sacral building of ‘Kosovar style’ with an acknowledgement of oriental influence. Patriarchate of Pec is one of the most beautiful medieval Serbian orthodox monasteries in Kosovo from the 13th and the 14th century. The complex of churches, the incredible fresco paintings and the mausoleum of Serbian archbishops and patriarchs, reveal the spiritual life of the population during that period and the importance of this monastery. The complex of churches is composed of three churches, one devoted to the Holy Apostles, the second one to the name of the Holy Mother of God Hodegetria and the third one to Saint Nicolas. This monastery used to be the seat of the Serbian Church and Stefan Dushan, one of the most significant persons regarding the Serbian history who raised the Serbian Archbishopric to Patriarchal status. After the war 1998/1999, this sacred place and its sisterhood of 24 nuns became an important center of the remaining Serbs in the area. In 1947, the Patriarchate of Pec was added to Serbia’s “Monument of Culture of Exceptional importance” and since 13th of July 2006, it was placed on UNESCO’s World Heritage List. Visoki Dechani is a Serbian orthodox monastery in Kosovo founded in the 14th century by the Serbian king Stefan Dechanski. 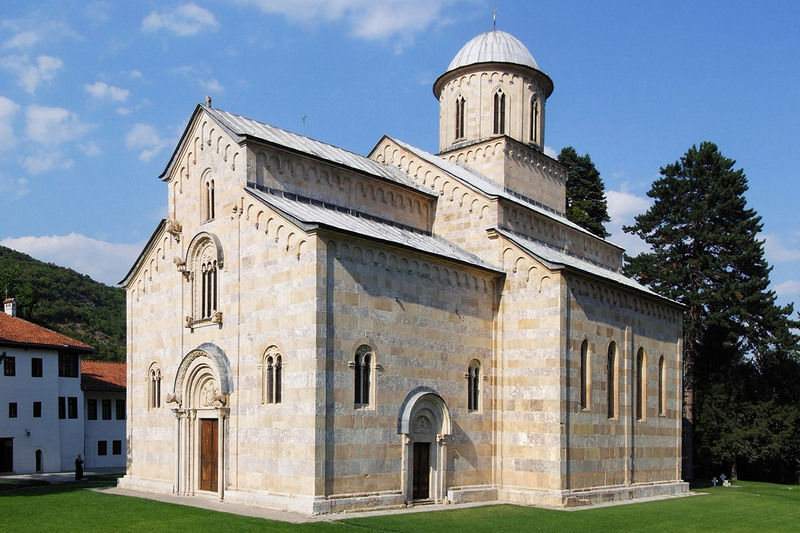 It is located in Metohija, meaning “monastic estates”. 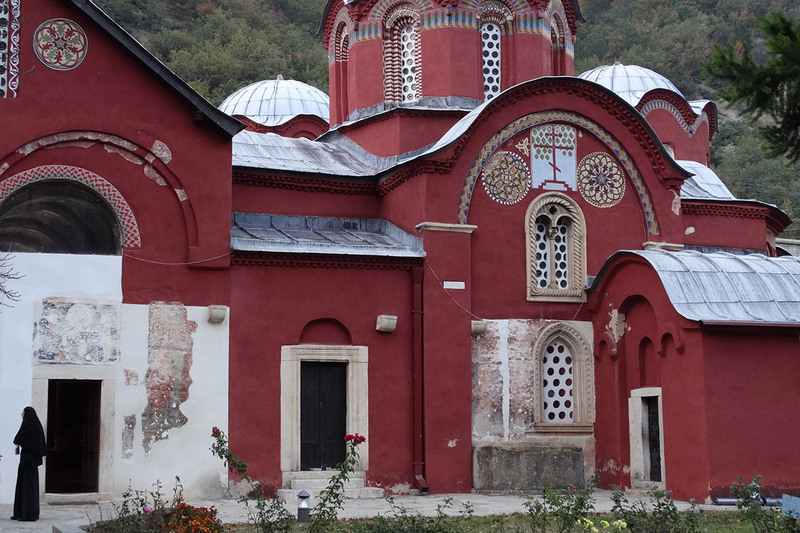 This monastery contains the largest preserved gallery of Serbian medieval art and incredibly rare architecture. The white and pink marble of the cathedral devoted to Christ Pantocrator, emphasizes the real beauty of this UNESCO’s World Heritage site since 2004. Its frescos are defined as “one of the most valued examples of the so-called Palaeologan Renaissance in Byzantine painting and a valuable record of the life in the 14th century”. 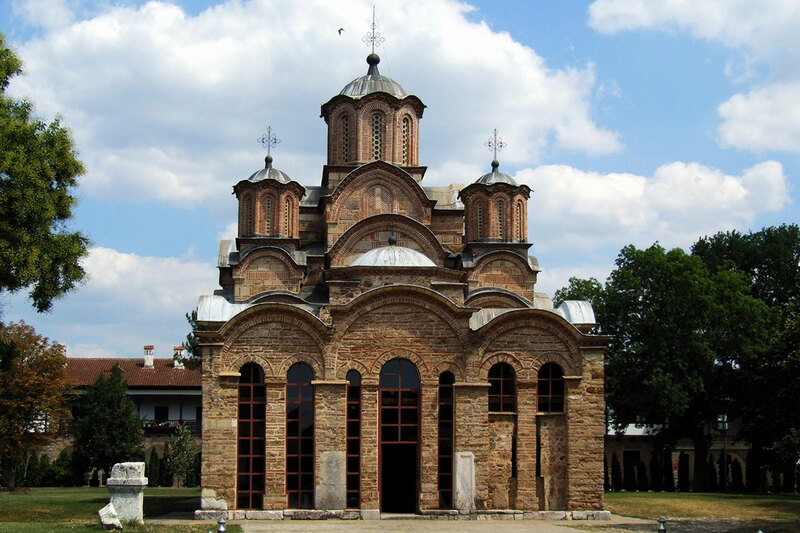 The monastery, as well as the Patriarchate of Pec, was added to Serbia’s “Monument of Culture of Exceptional importance” and since 2006 was added to the UNIESCO list of endangered World Heritage sites. Today, a brotherhood of 30 monks reveals the secrets of this monastery.